Caribbean Lifestyle Media caught up with the buzzing artist Alandon in the studio a while back. Without asking, Alandon heard a Riddim and started to "spit" lyrics on the spot. Check the video. 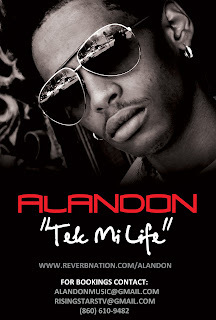 Alandon recently teamed up with Cashflow Records on the Employer Riddim which features I-Octane among others. Alandon recently performed at Toads Place in New Haven, CT. Check out video here.